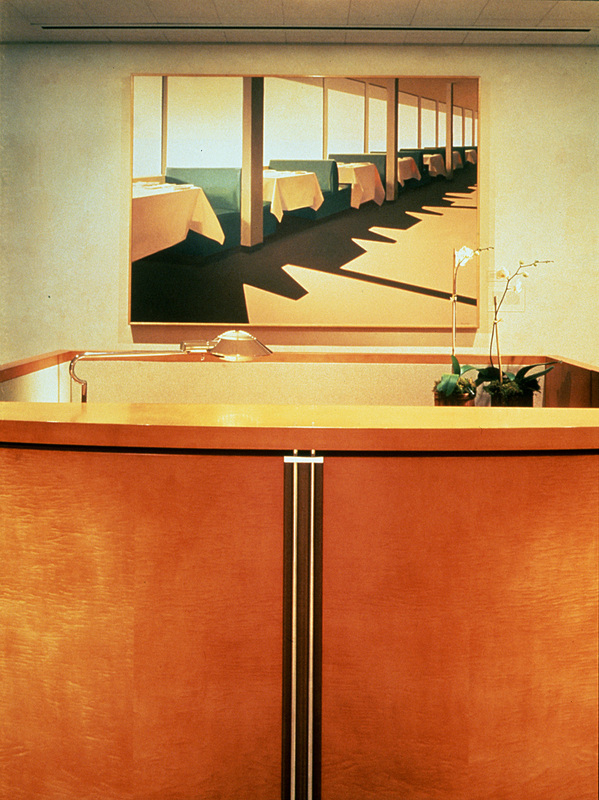 Denning Cabinetry built this information desk in the lobby of the Federal Building in San Francisco. The piece incorporates the natural beauty of exotic wood, the sleek elegance of custom made stainless steel, and the luxurious look of blue pearl granite. The wood is a blueprint matched Anigre. As demonstrated in this project, Denning Cabinetry excels in work that requires the precise integration of multiple materials. 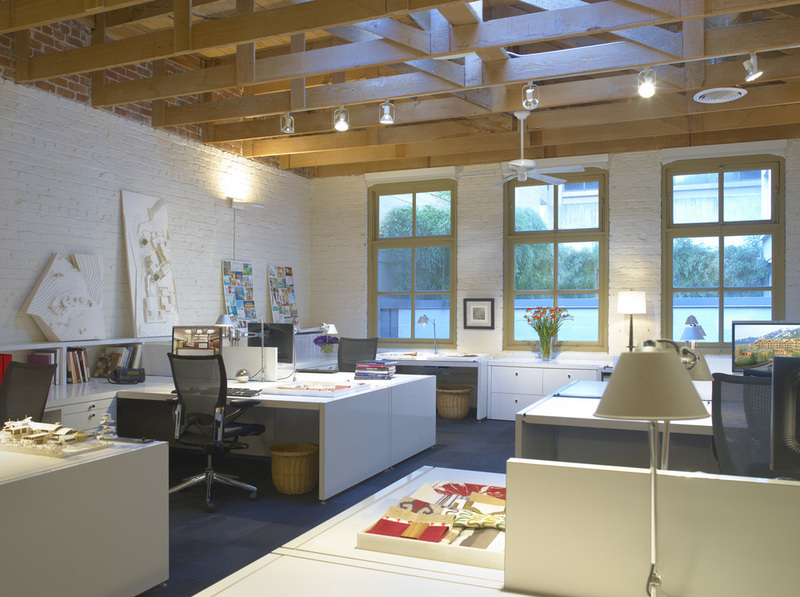 Brayton and Hughes, one of San Francisco's premiere architectural firms, employed Denning Cabinetry to build workstations, credenzas, and an entire suite of furniture for their first offices in San Francisco. The gloss laminate that they found to be both functional and beautiful for many of their clients was their material for this project. 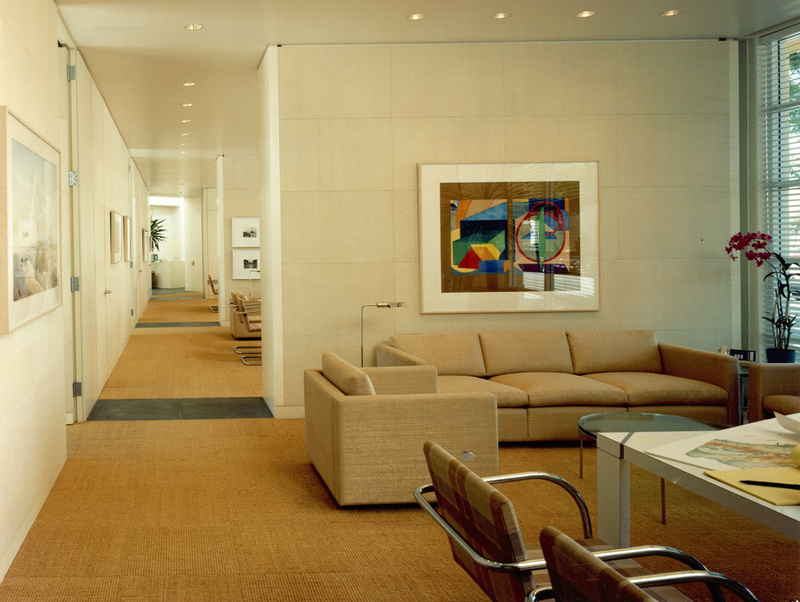 These pictures show a combination of the original office pieces and their integration into the firm's newer office space. For a local investment firm, this two-sided room divider became the focal point for a conference room on one side and for the private employee meeting area on the opposite side. 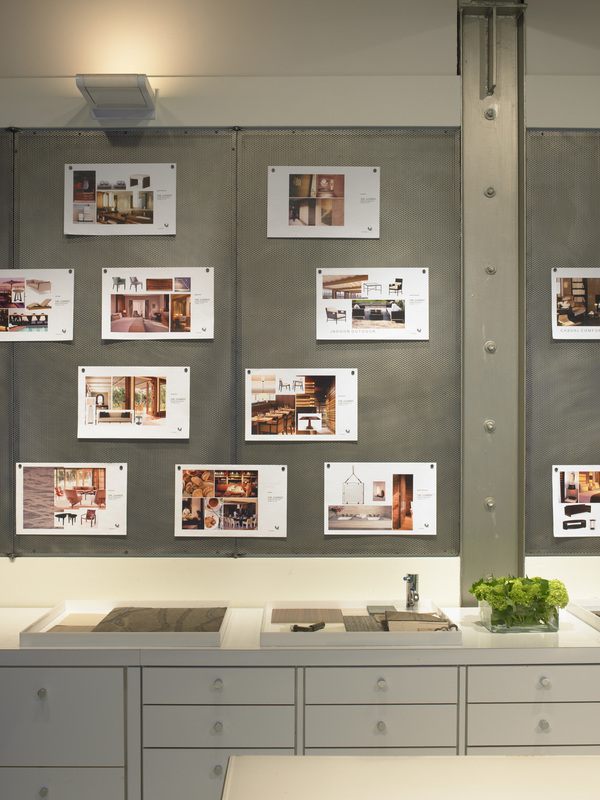 Denning Cabinetry constructed each panel in a different premium wood with a distinct finish. 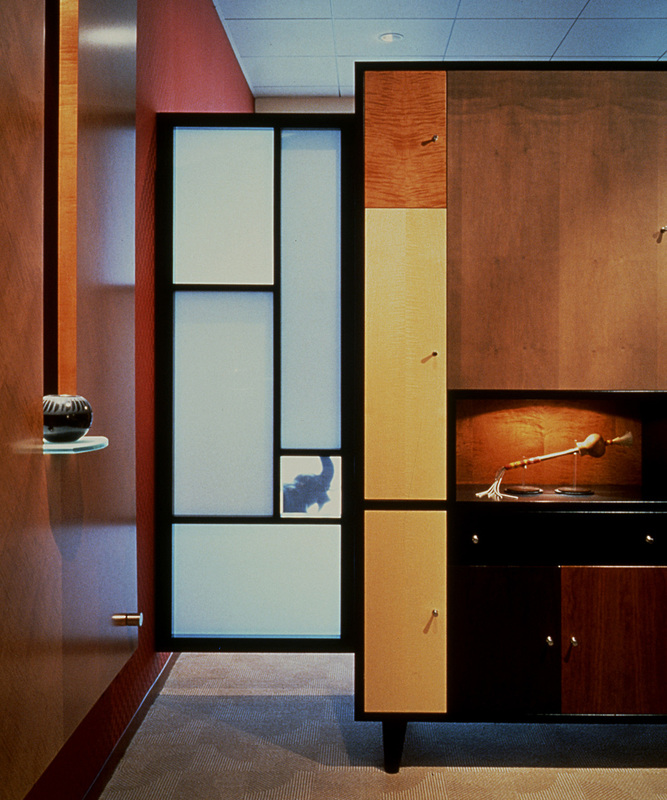 The two faces of the wall divider also had different configurations to serve particular functions of display and storage. The client was so enamored of this piece that he has moved the unit four times when his company has changed locations. 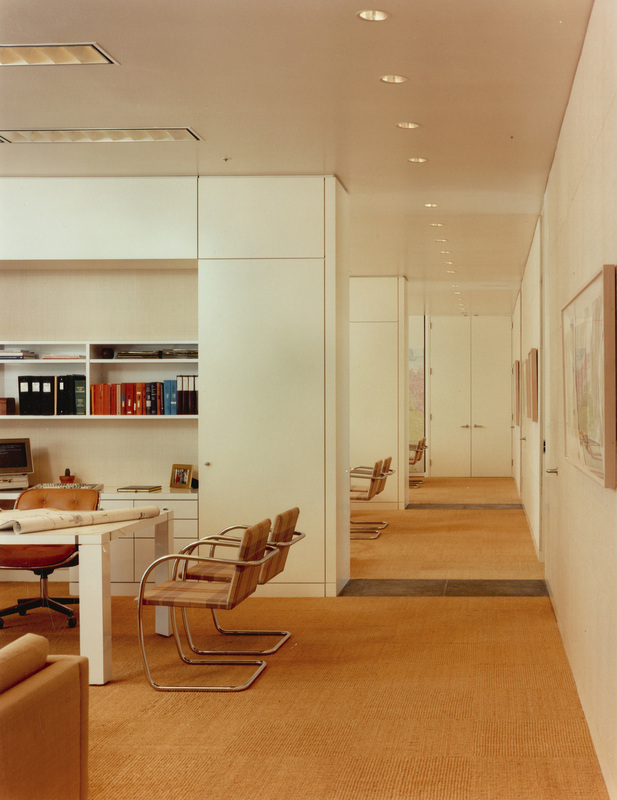 For this well-established firm, Denning Cabinetry built custom laminate and stainless steel desks for each office. In addition Denning Cabinetry constructed free standing office partitions with storage capability. The partitions combined laminated elements with enamel painted elements. Denning Cabinetry also provided the laminated reception desk and the matching file cabinets for the reception area. 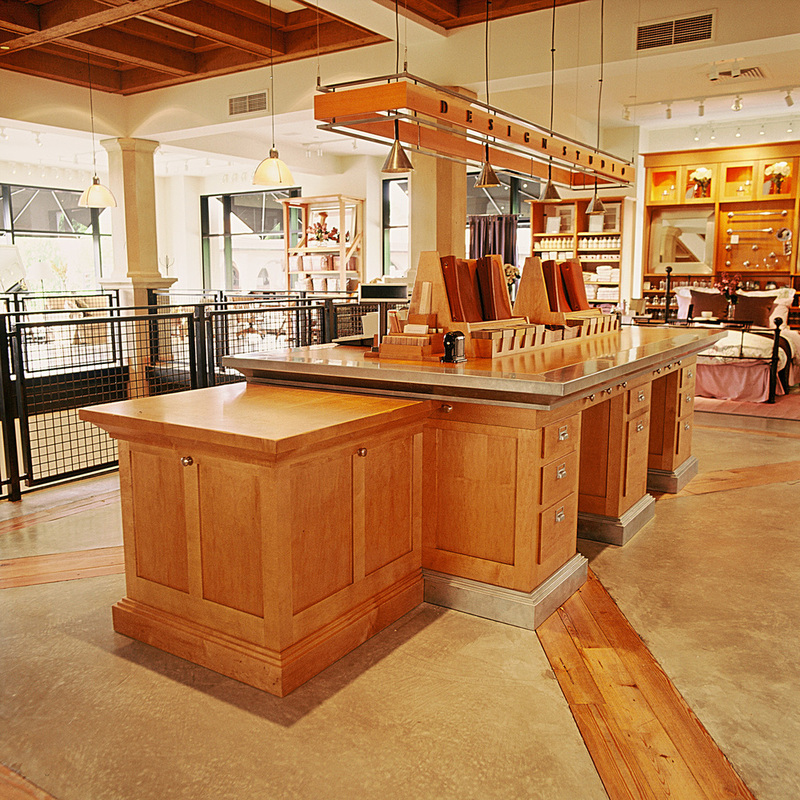 Denning Cabinetry built the prototype and the constantly evolving versions of this central fixture of the Pottery Barn stores from 1995 to 2001. 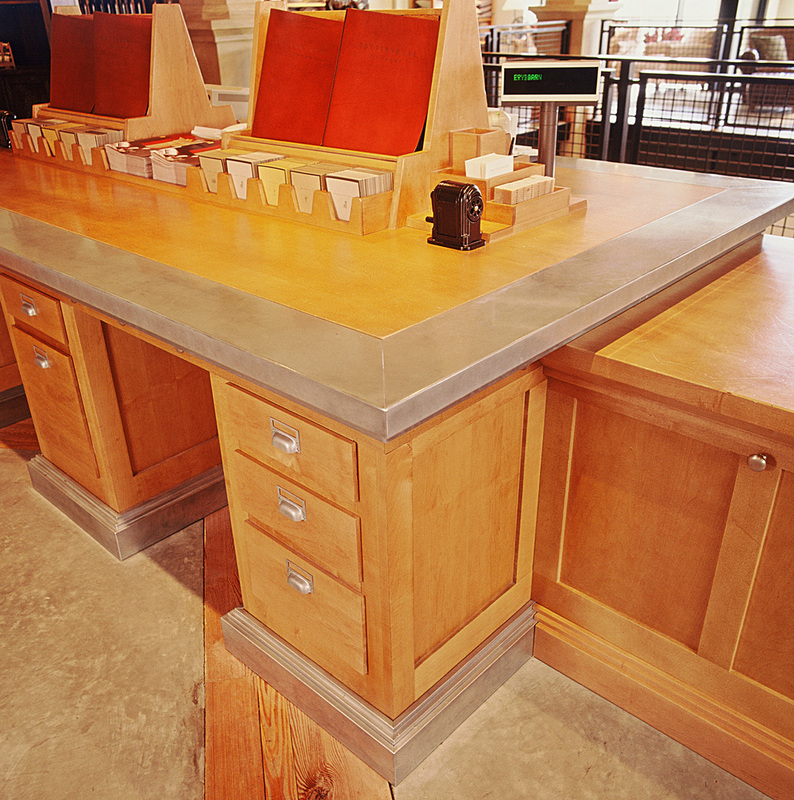 This eleven foot table was made of American Maple and contained drawers, concealed electrical fixtures, and cash register stands. Also shown in this picture is an additional cabinet for storage that was used in some of the larger stores. 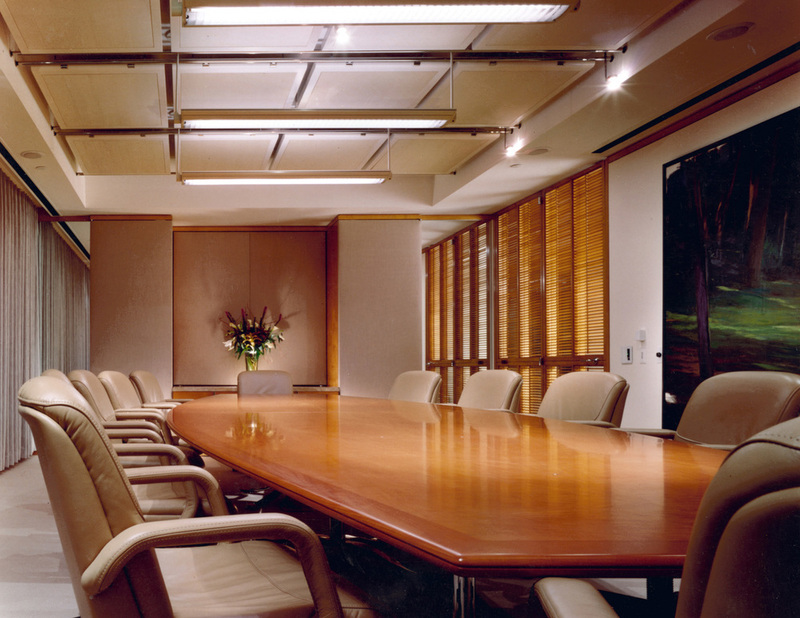 Denning Cabinetry also provided the wood and metal ceiling mounted frame with signage. We built this suite of furniture to fit out an entire story of a San Francisco highrise. It consisted of reception desks, work stations, and conference tables. The wood is Figured European Maple. 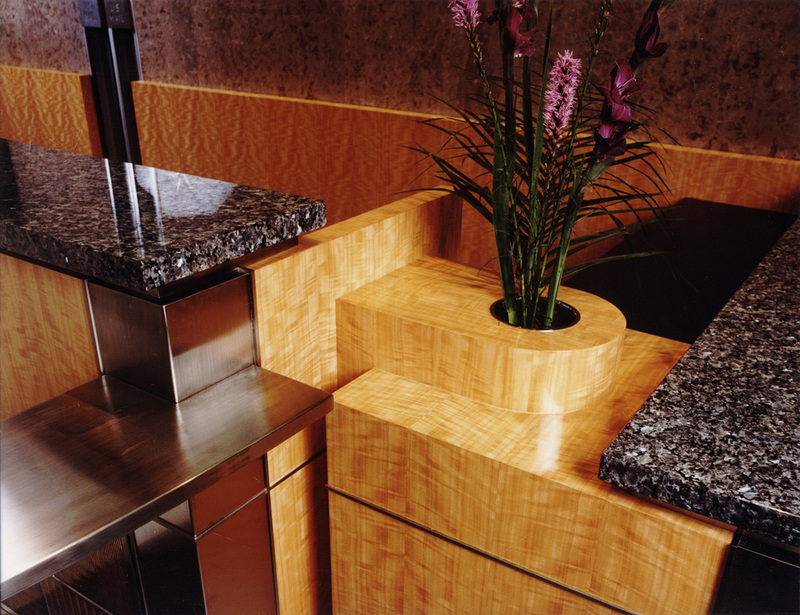 Denning Cabinetry coordinated the fabrication of the custom stainless steel components used in this project. This photo was the cover shot of Interiors Magazine.